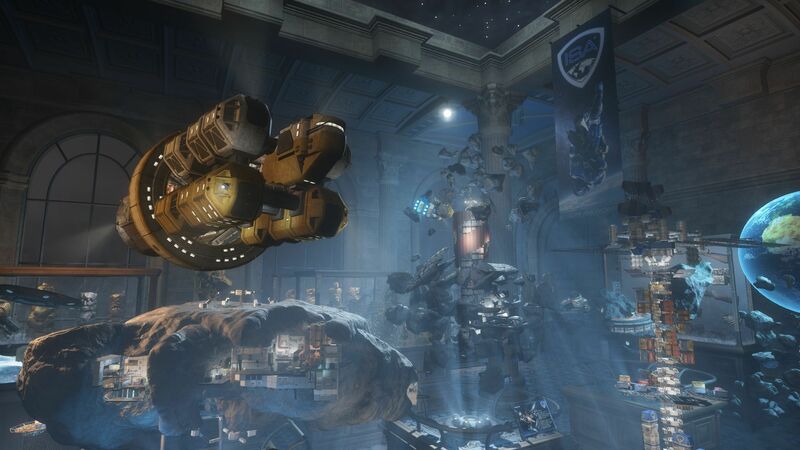 We are excited to announce the public release of VRMark, our new VR benchmark. VRMark comes with two VR benchmark tests, which you can run on your desktop monitor or on a VR headset. At the end of each test, you'll see whether your PC is VR-ready, and if not, how far it falls short. There is also a free-roaming Experience mode that lets you judge the quality of the VR experience with your own eyes. VRMark Experience mode features free movement, spatial audio, and an interactive flashlight for lighting up the details of the scene. 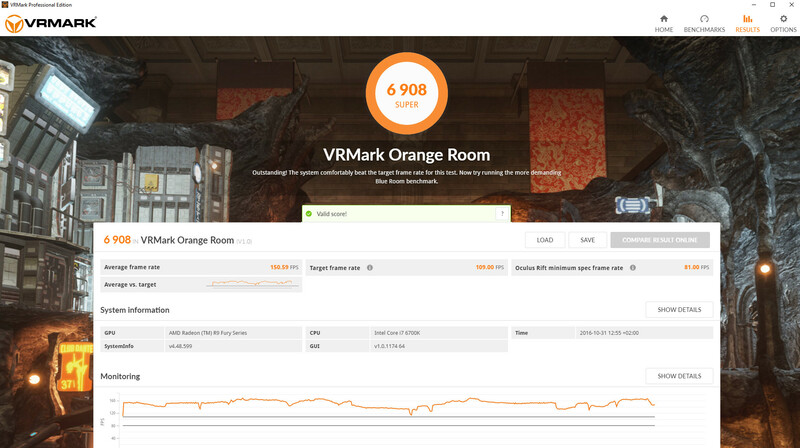 Test your system's VR readiness with the Orange Room benchmark. Explore the Orange Room in Experience mode. Unlock the Blue Room benchmark for high-performance PCs. See detailed results and hardware monitoring charts. 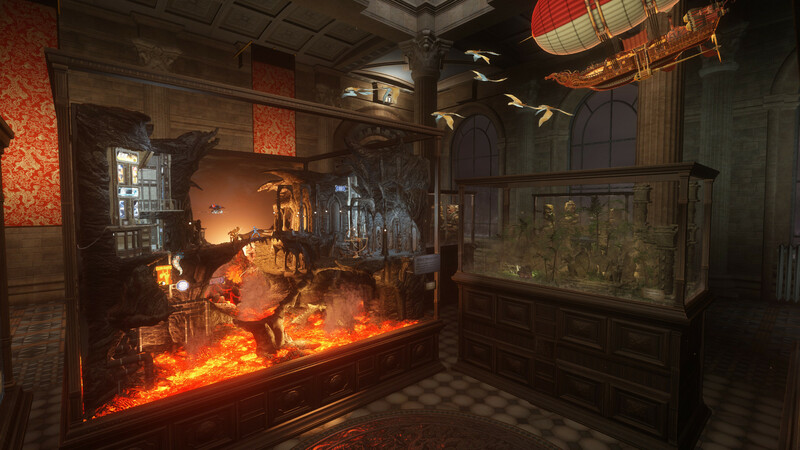 Explore both rooms in Experience mode. Script and run tests from the Command Line.